Fixfest Italia – next month in Turin! Fixfest Italia is the first Italian gathering of community repair groups. 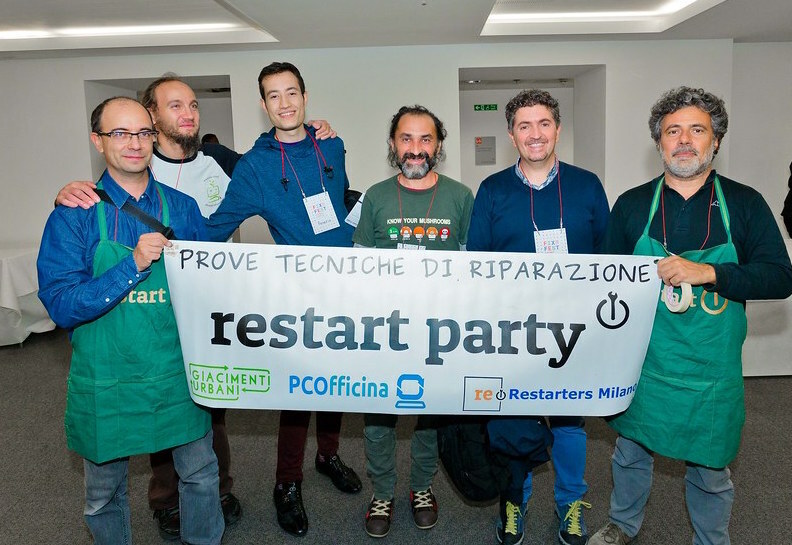 It’s open to anybody who organises or volunteers at a Restart Party, Repair Café or other similar event in Italy. The event will take place in Turin on Saturday 4th May inside of Mini Maker Faire Torino. Restarters Torino are organising, with support of Mini Maker Faire Torino and The Restart Project. Abbiamo capienza limitata per l’evento. Preghiamo gli interessati a fare domanda entro il 22 aprile usando questo form, e Restarters Torino confermera’ la disponibilita’ al più presto.